The renowned Australian refinery Perth Mint presents its second Marvel hero - Thor - one of the most important and powerful Gods in Norse mythology and a fictional superhero appearing in Marvel Comics. The son of Odin and Fyorgyn - the Earth goddess, Thor is considered as the storm-weather God of sky and thunder, who also has an ability to fly. 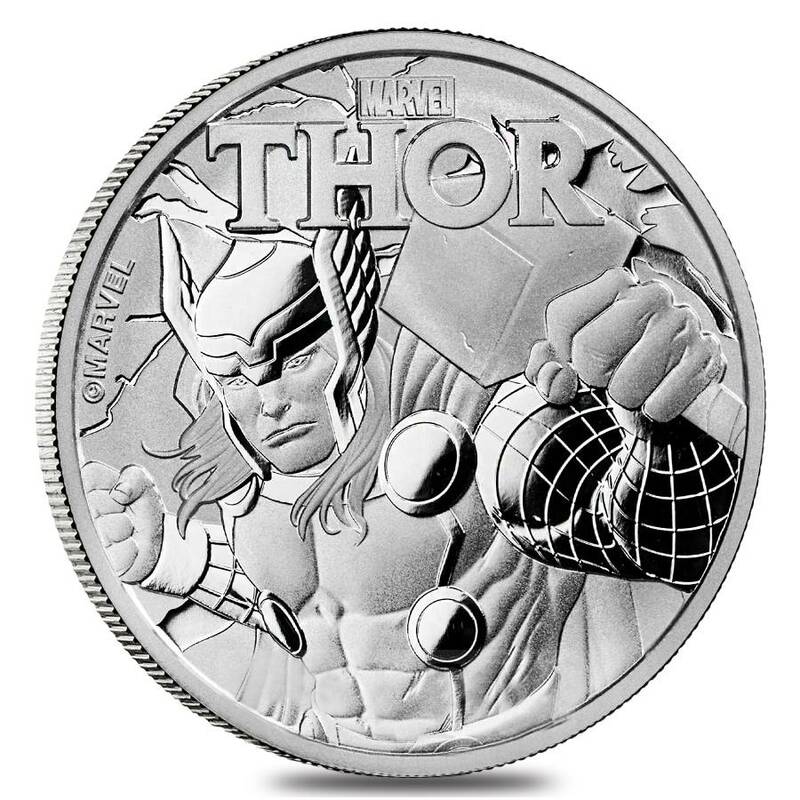 This coin follows the 2017 1 oz Tuvalu Spiderman Marvel Series Silver Coin and is coming just before the new Marvel movie Thor Ragnarok. According to Marvel movies, Thor Odinson is the prince of Asgard and a former member of the Avengers, he was stripped of his power and banished by his father Odin to Earth. While being on Earth, Thor learned humanity and helped to save Asgard from his jealous adopted brother Loki. This is how he redeemed himself in the eyes of his father and was granted his power once again. The coin is expected to be sold fast because is struck from the purest .9999 silver and has a maximum mintage of 50,000 pieces only. 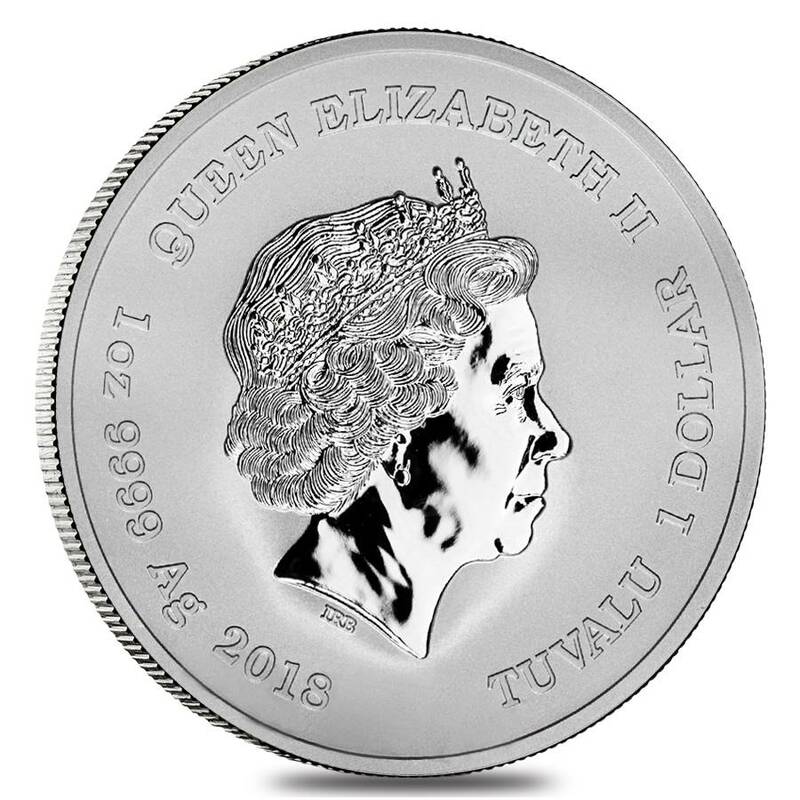 The coin’s reverse features a classic image of Thor holding his hammer, the coin’s obverse has a well-known portrait of Her Majesty Elizabeth II, created by Ian Rank Broadley. Each individual coin will be struck in the same high quality and will be capsulized preserving its quality and perfect appeal. These amazing coins are selling individually, in rolls of 20, or lot of 100 which provides options for all the levels of collectors and investors. Made from .9999 fine silver with a weight of 1 troy ounce. Each coin is offered in an acrylic capsule. Multiples sold in 20-coin rolls. 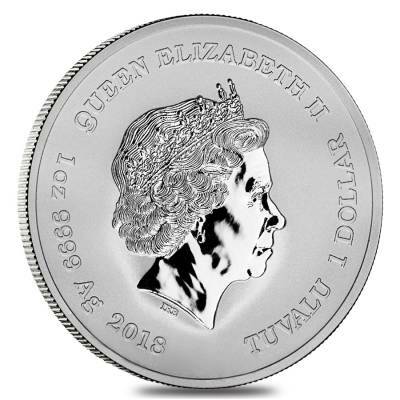 Obverse: Showcases the effigy of Her Majesty Queen Elizabeth II, encircled by the engravings “Queen Elizabeth II”, “Tuvalu”, “2018”, the coin’s purity, weight, and denomination. At Bullion Exchanges, you will find the newest and most exclusive bullion coins of the highest quality. Order this exceptional 2018 1 oz Tuvalu Thor Marvel Series Silver Coin and it will be carefully packaged and shipped to your address. For any questions, just call us at 800.852.6884, or send us a message, and our customer service representatives will happily assist you. all good, worry free, FASSSSST!!! Excellent purchase. Arrived just as described. Love this new release!! Great collection. Arrived quickly and safely, well packaged, exactly as described. Arrived quickly and in perfect condition! This coin was a gift for my brother. Came just on time with new Thor movie in November. Thank you, Bullion Exchanges for the fast shipping. 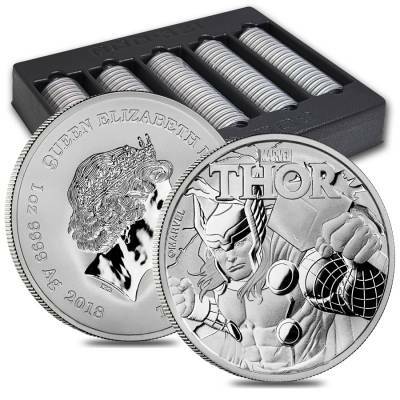 I love the Marvel series from Perth Mint! 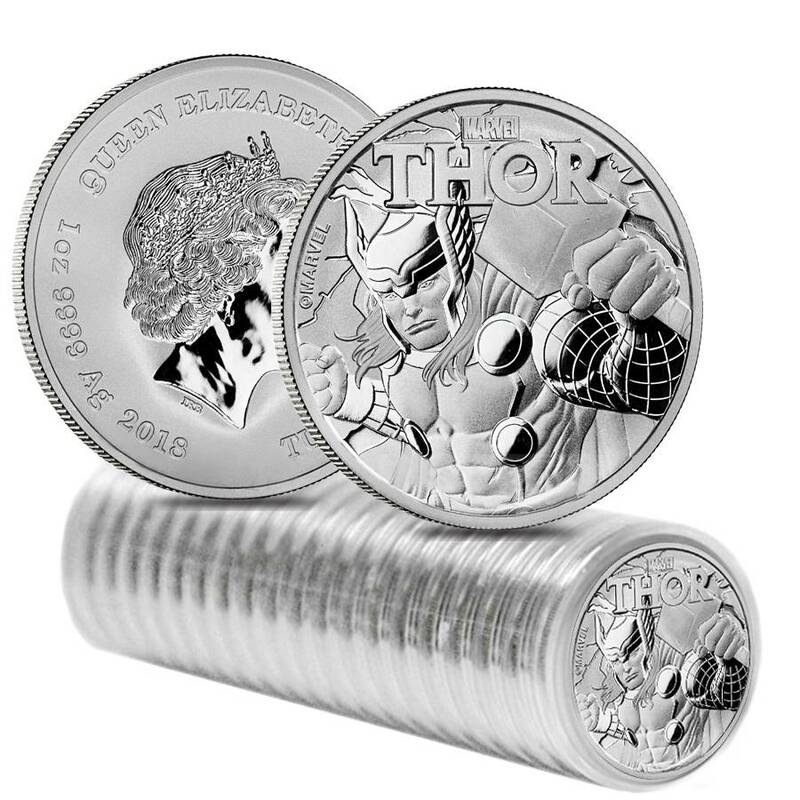 The Thor coin is amazing, just like the others. looking forward to collect the entire series! I do love Marvel comics and Thor is my favorite Avengers hero!!!! Stunning coin! Cannot wait to get it. With this purchase, you earn 27 Bullionaire Bucks 27 BB = $0.03. We currently have 82 of this item in stock. For every $1 spend, you will earn 1 Bullionaire Buck which is equivalent to $0.001 off a future purchase. 27 BB = $0.03.